I went with Integrated common entrance test (I-CET2015) I opted this college because one of my friend MD. Thajuddin had completed his masters from the same college i was just surprised by seeing him at his way of talking and also he had improved a lot in communicating to others so i decided to join this college to improve my skills as well as to shape my career. I haven't wrote any sort of entrance exam to enter into this college but after passing my 12th standard based on that marks. I have got seat in that college and its one of the top colleges in our location. 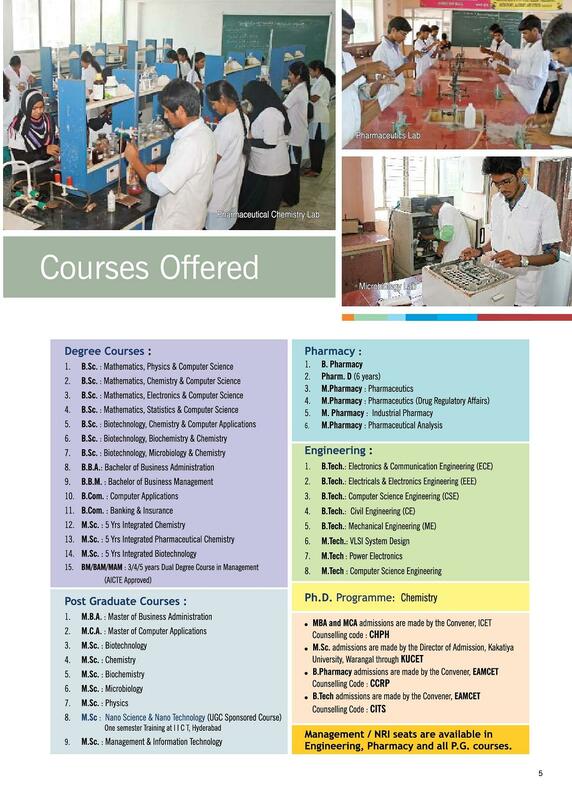 We had lot of college placements and we had JKC jawahar knowledge center linked to our college. So they were also help ing us to get the right path and they used pass all sorts of general information relating to placements and they have also helped is to get video resumes. 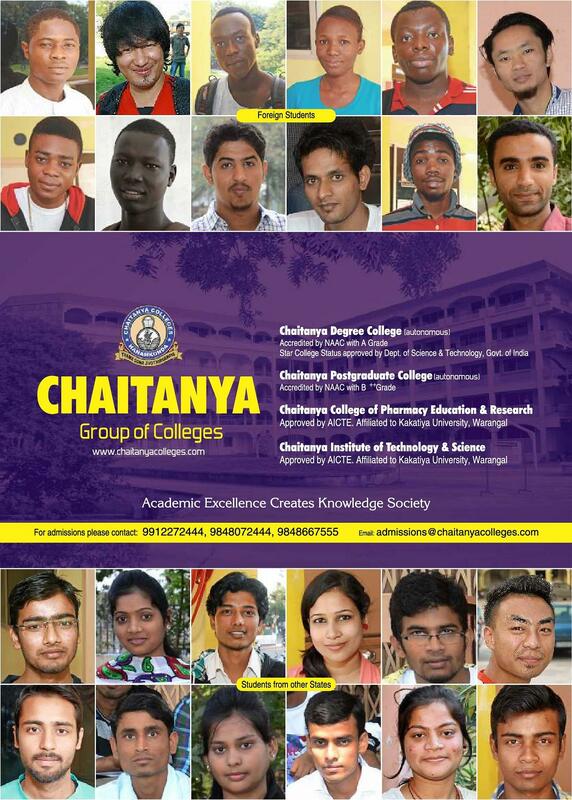 Chaitanya Post Graduate College, Warangal was established in 1993 under Viswa Bharathi Education Society, Warangal. It is affiliated colleges to Kakatiya University, Warangal of Telangana region and approved by NAAC in 2006. 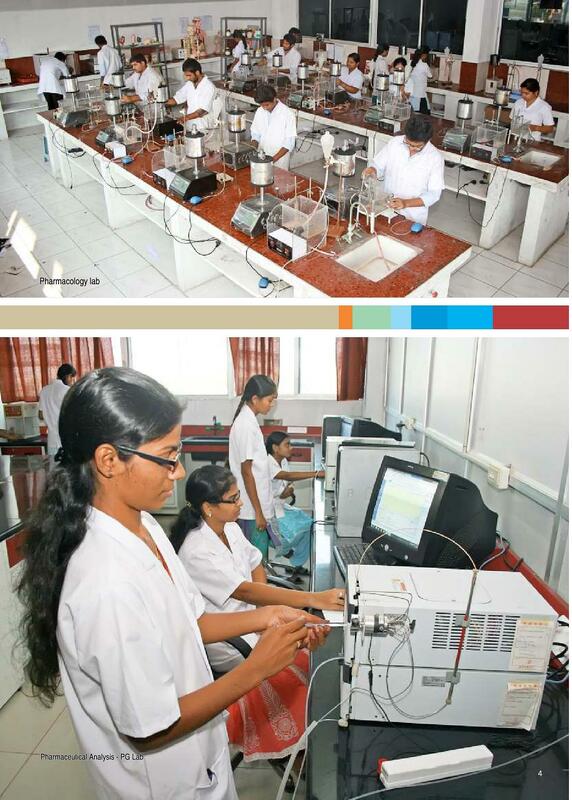 The college is included under section 2(f) and 12(B) of the University Grants Commission Act, 1956. The Viswa Bharati Education Society’s mission is to be a leading private institution of higher learning that expands its horizons and knowledge through research and teaching. 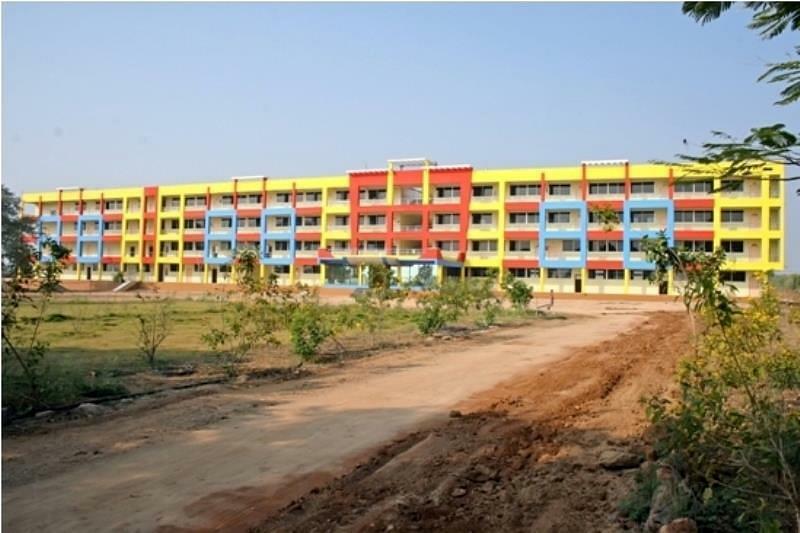 The Colleges is ideally located in the heart of Hanamkonda city. Since the inception, the college have been marching ahead with the sole objective of maintaining high academic standards and providing career-oriented education in the most cost-effective manner. University of Albama, Birminghom, U.S.A.
Savannah State University, Georgia, U.S.A.
NCC - The college has an Army Wing Company for boys and girls separately. They take part in parades on national events and work as volunteers. NSS - Students are deputed under selected welfare agencies to involve themselves as volunteers in nation building and social activities such as Literacy Drive, irrigation works, sanitation, roads, savings drive, blood-donation camps, AIDS awareness programmes etc. The college has 350 well configured computers, 2 servers and 3 printers in the computer lab. Wifi enabled library with a collection of 15,096 books and it subscribes for 12 journals, 17 periodicals and 9 dailies. There are 3 hostels - 2 for boys and 1 for girls. 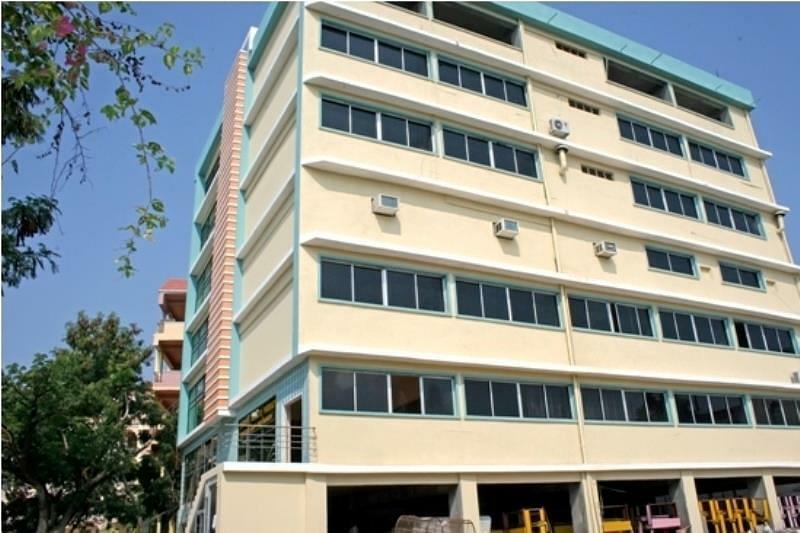 Each of the boys' hostel has 80 residents. 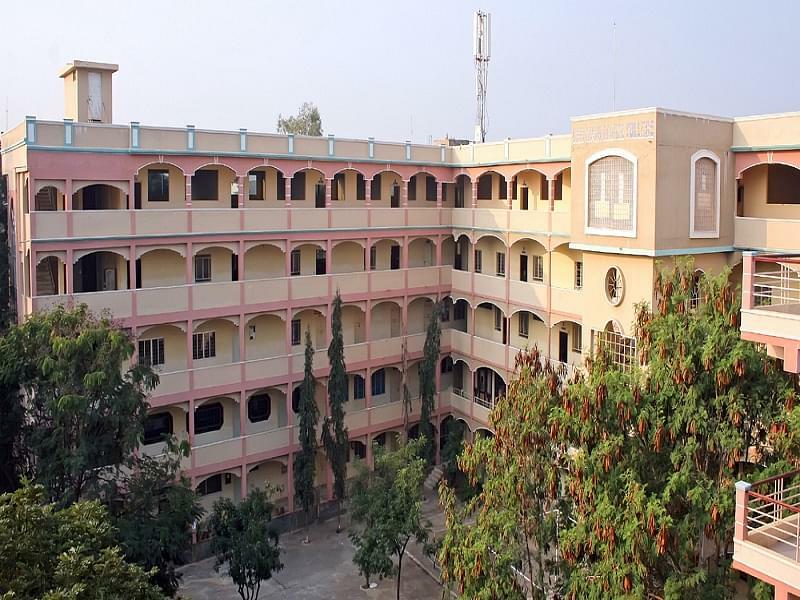 The girls hostel has 212 inmates. The college is provided with a 16 stationed Gym with all the latest equipment. The Sunday Indian, The Nation's Greatest News Weekly has issued a credential ’India's Most Authoritative College 2011’ honours Chaitanya Degree College as India's Next BIG LEAGUE in Science. 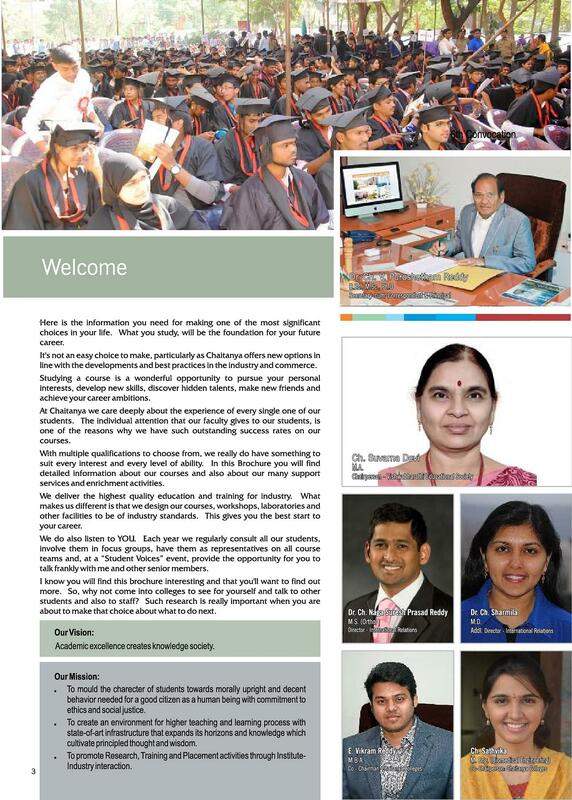 The Silicon India, India's largest professional news and media company with two prime magazines Silicon India and The Smart Tech rated the college as 31st Rank throughout India and 7th Rank in south India.